I keep going back to the Open Air Art Museum in Montreal. 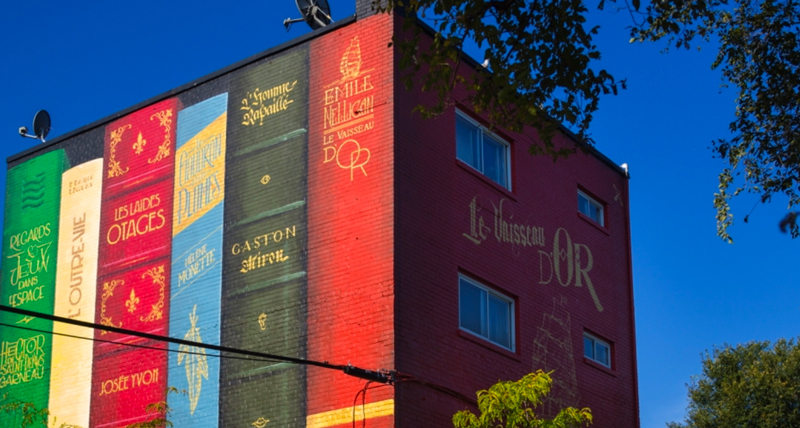 I think the reason that this mural caught my eye is because I love books. In our house, books are sacred and you take care of them. This mural was created close to University of Montreal. It pays homage to the poets and authors of the city.